In order to make up for the dearth of blog posts, I’ll just steal Melanie’s posts for a few days. They should explain what I’ve been up to! I’m pretending to be Gari’s friend. I am not a morning person, but then again, there is the 2 hour jet lag working against me, too! Winston Bumblebee Barcode 1 is pretending to help! 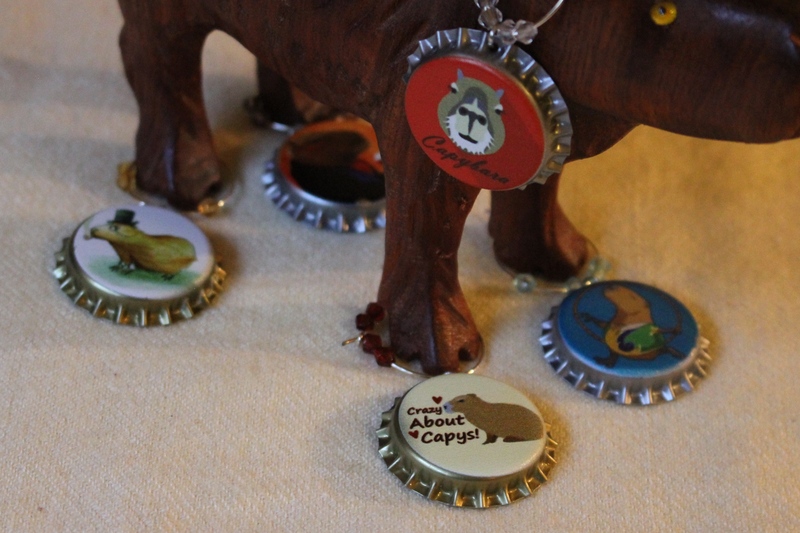 SuperCapy is available at the recently re-opened Capybara Madness Store! Stacy Winnick is Visiting! | Capybara Madness.